Business or pleasure; we’ve got a car to suit – even for weddings! Established in 2003, the company is owned by Stephen Clarke, who has previous owner Jeff Cohen as his general manager in the team. Our business provides a reliable service, covering the length and breadth of the local area and rest of the UK. All vehicles and drivers (both male and female) hold enhanced licenses and are fully police checked, through Hambleton District Council. Whether you want to hire a Mercedes limousine or one of our 8 – 16 seater minibus for business or a private hired trip. 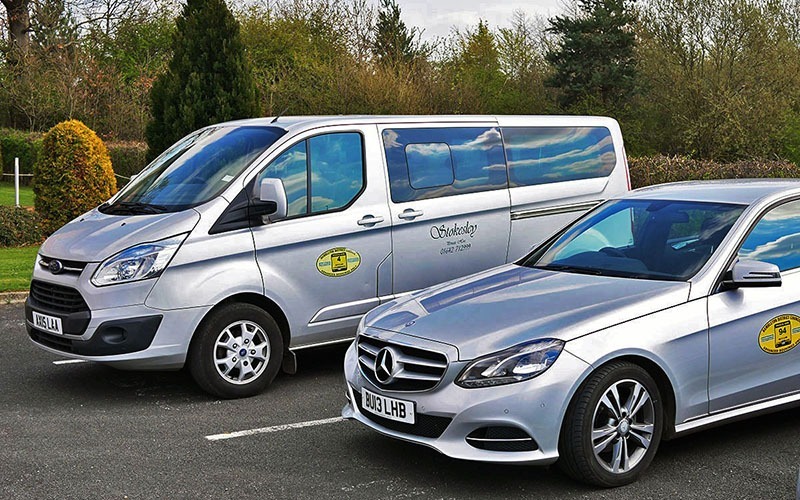 Stokesley Taxis & Executive Cars has to be your preferred choice for a private hire taxi. With a fleet of luxury saloons, we can fulfil all your taxi needs. We ensure efficient transfers to and from all the major destinations such as Durham Tees Valley and Newcastle Airports, Darlington and Northallerton Train Stations, plus all major points of interest within North Yorkshire and Middlesbrough. No matter what your transport needs are, our chauffeur driven cars of Stokesley Taxis & Executive Cars can provide you with a great experience. We will meet and greet you at home, or at the Terminal and will be on-hand to help load your luggage into the vehicle. Why pay for expensive Airport cark parking and the stress of getting there and back? All of our vehicles are linked to our state-of-the-art TaxiCaller management platform, integrating Satellite Navigation and traffic-based routing systems to ensure you arrive at your destination, whether it be an Airport or a Train Station, in a timely manner. Mercedes E-Class vehicles are a sign of the quality and comfort of our whole fleet, and the company is proud to be associated with such a top-class name within the car industry. Vehicles are cleaned and valeted on a daily basis, and are no smoking. Our licensed drivers and chauffeurs drive safely and with the utmost professionalism to ensure you arrive at your destination in a timely and safe manner. Stokesley Taxis are reliable and always on time and the drivers are friendly, courteous and professional. Their cars are always gleeming and well presented and are an integral part of our business operations. On our trip to York, can I just say the taxi driver we had last night was amazing – he got us all home safely. We will definitely use you again and recommend Stokesley Taxis to our friends and family. We always use Stokesley Taxis for our staff and visitors when we require a taxi. They are friendly, reliable and always give us a fantastic service throughout the year. us using the details provided below.